Thirty years of marriage! That is a lot of time spent together. 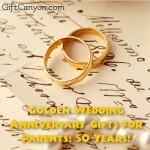 Mom and dad could be getting older, but you know their marriage is still going strong! 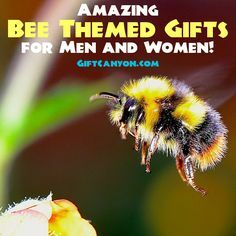 Hey, why not get them a gift? 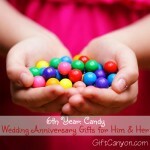 How about themed anniversary gifts? 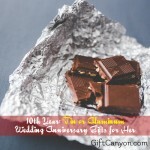 Wedding anniversaries are usually celebrated by the couple giving each other themed presents. 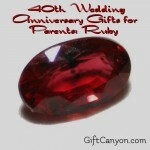 You can give mom and dad presents too! The traditional theme for 30 years of marriage is pearl. 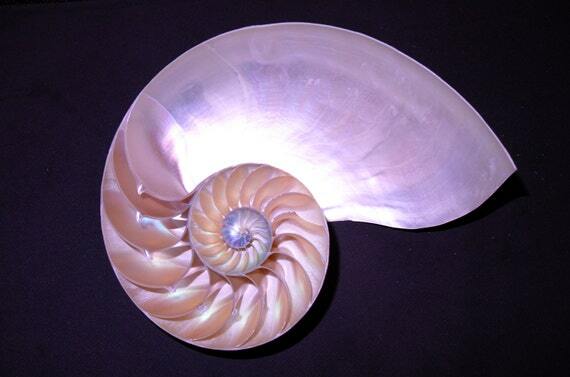 Pearls were tiny and fragile at first but bit by bit, it became strong and beautiful and large. Just like a marriage of thirty years. 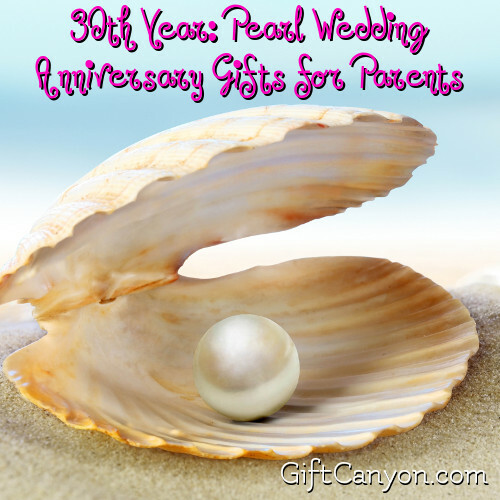 Here are some ideas for pearl wedding anniversary gifts for parents. 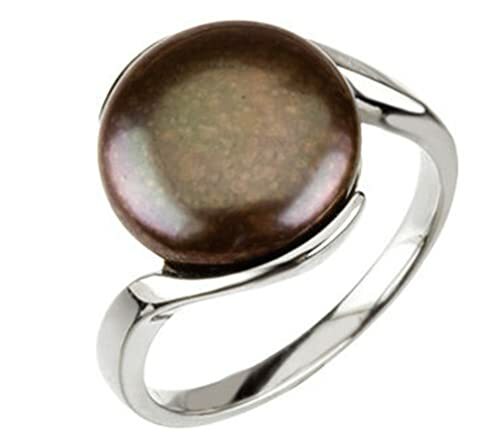 As a quick note, as pearl is a pretty inflexible you can also use mother of pearl materials as gifts. They do count! 1. For mom, you can get her a pair of dangling pearl earrings. She will look stunning on their wedding anniversary dinner date! 2. 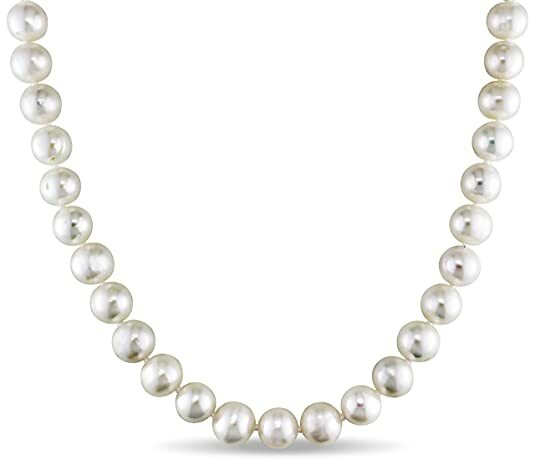 You can also get mom a pearl necklace. 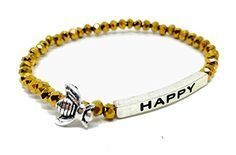 This is classic gift. Very pretty. 3. 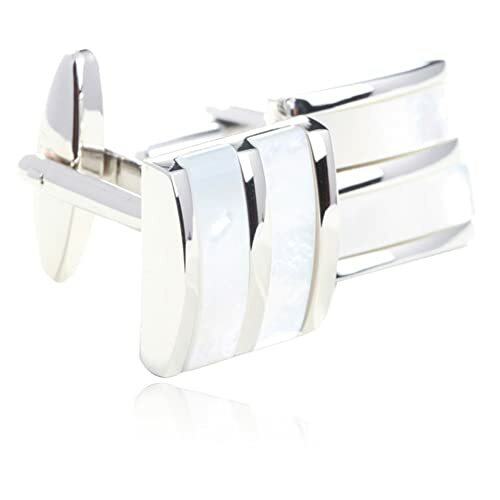 Dad can get a pair of mother of pearl cuff links. He can wear this at work or during an important formal event. 4. 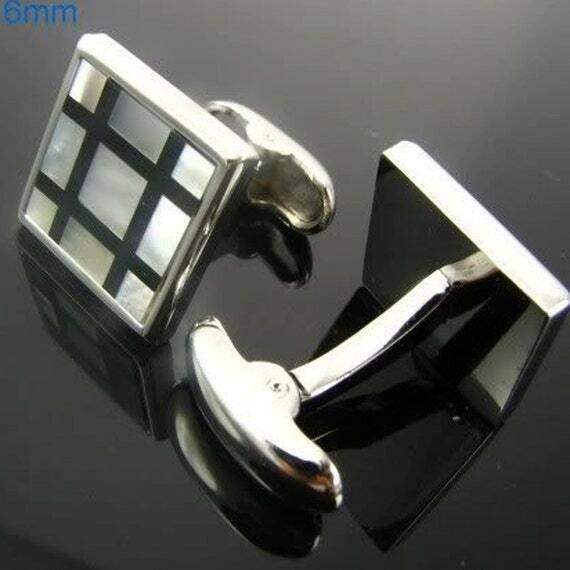 You can also get him this black mother of pearl cuff links. These look very nice! 5. 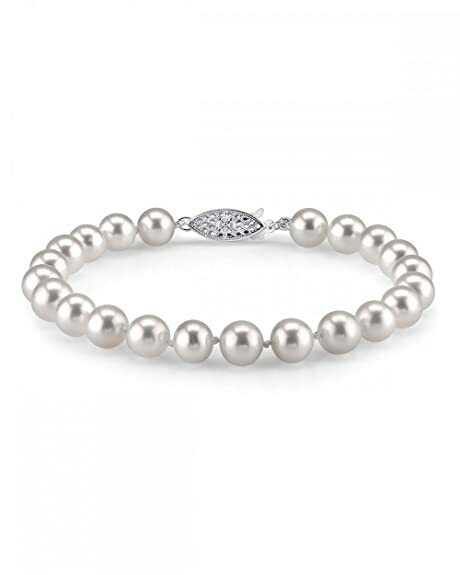 How about a freshwater pearl bracelet? 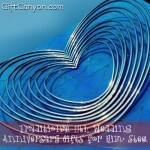 Mom will love the minimalist look of this jewellery. 6. Did you know that men can also wear pearl necklace? 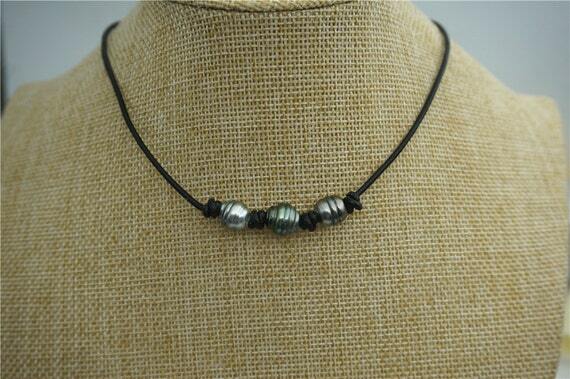 A triple Tahitian pearl necklace looks very masculine, especially if you get the black ones! 7. 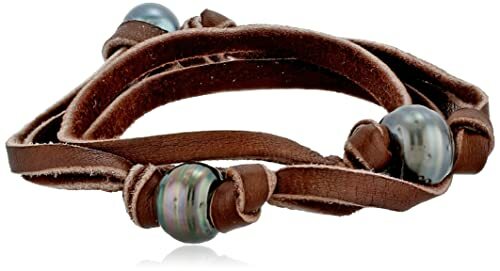 You can also get dad a black pearl and leather bracelet. These look so cool! 8-9. 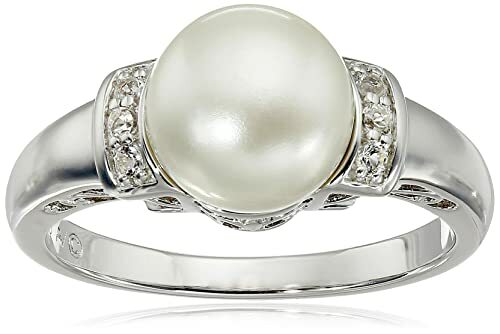 Lastly, you can get mom and dad a pearl ring each. 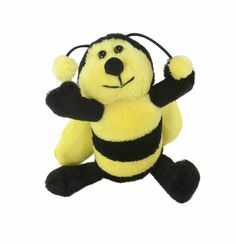 You can also get them decorations for the home or for the office. 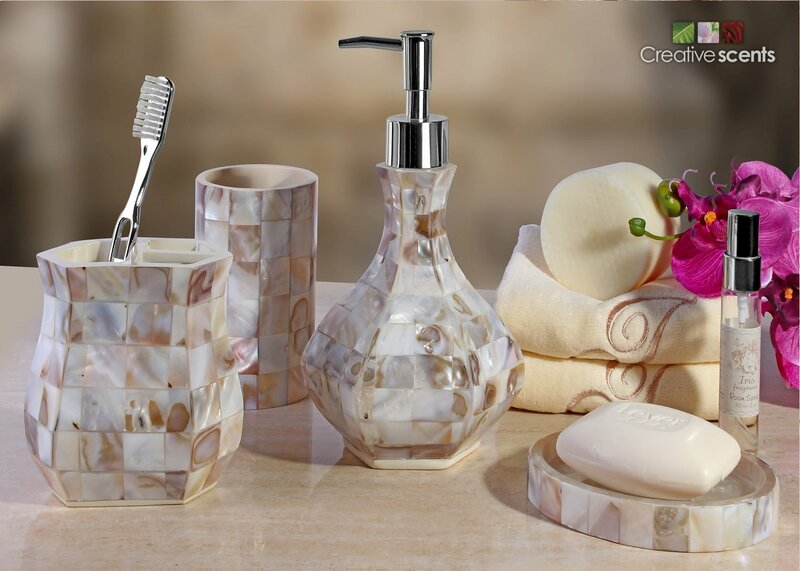 The decors in this section are made from mother of pearl. 10. 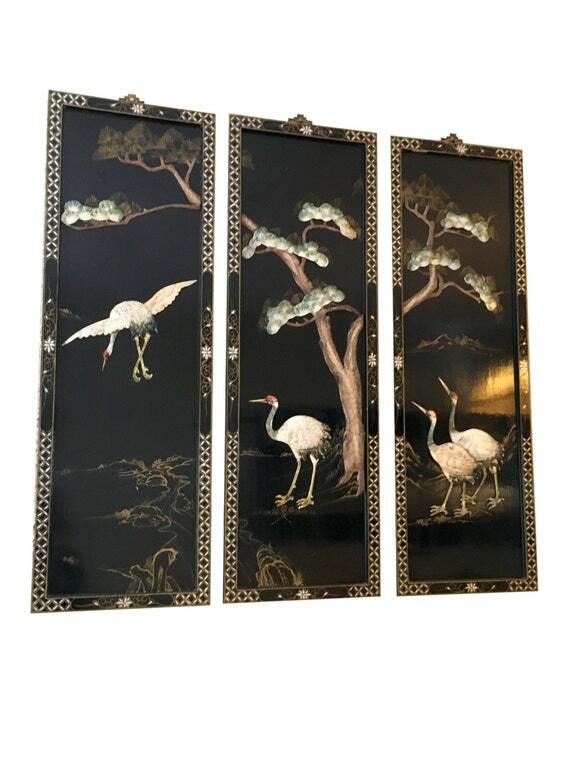 You can get your parents a Chinese mother of pearl paneled artwork. They look very authentic and will add a bit of old fashioned touch to their house. You can get this, Or if it is already sold, you can get those from decor shops. 11. 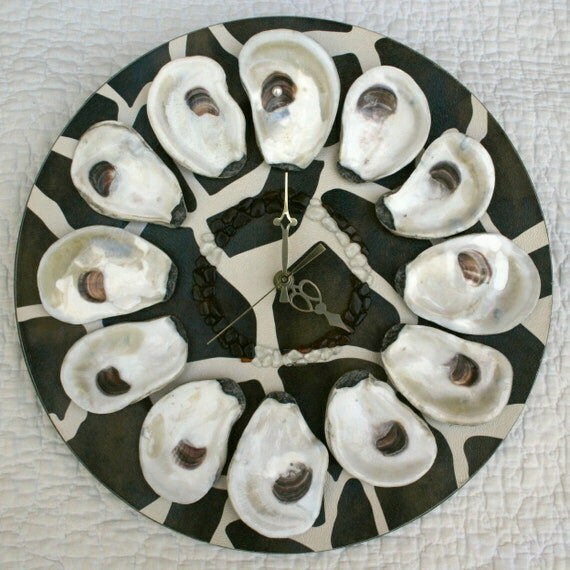 How about these mother of pearl shell clock? What craftsmanship! Very rustic, very beautiful. 12. How about a half-shell decoration? 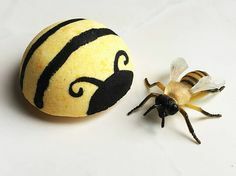 There are lots of these at Etsy. 13. 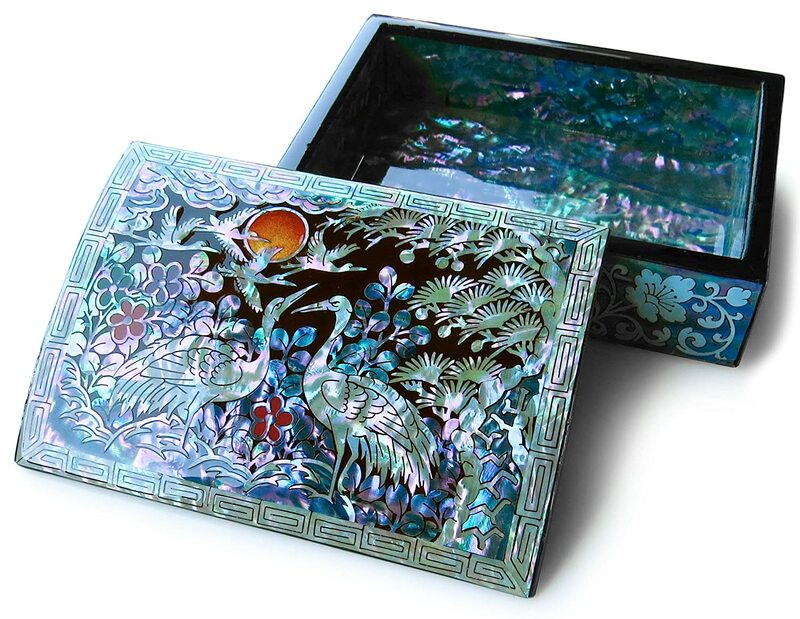 You can get this mother of pearl trinket box for mom. She can use it as a jewelry holder! 14. 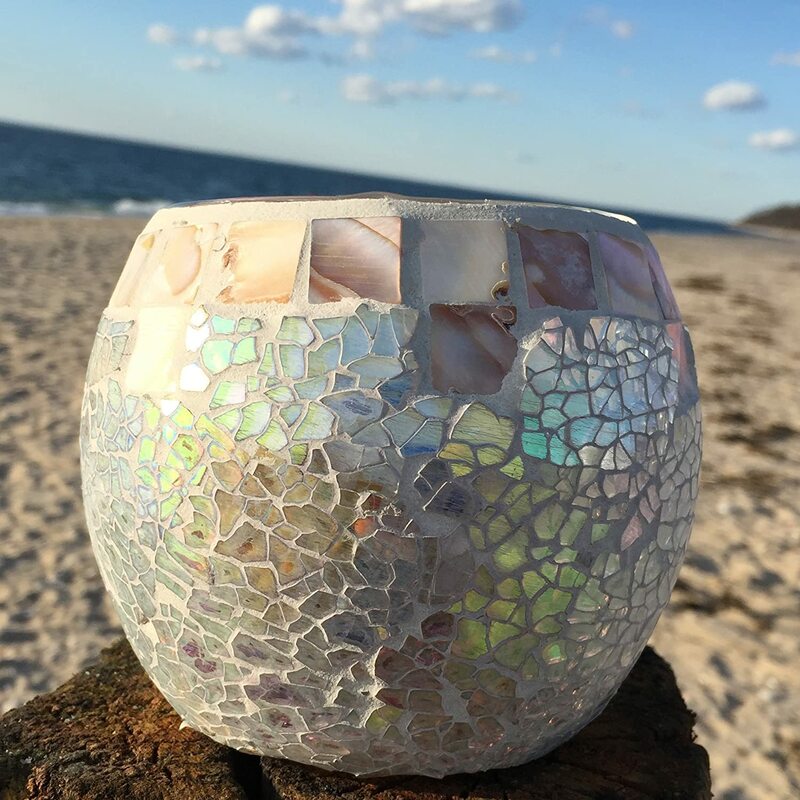 You can also get this mother of pearl candle holder. It looks pretty and it does set the mood in the bedroom. 15. 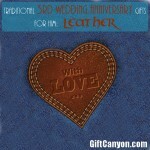 You can give them a sentimental gift: get their old wedding photo and have it replicated. 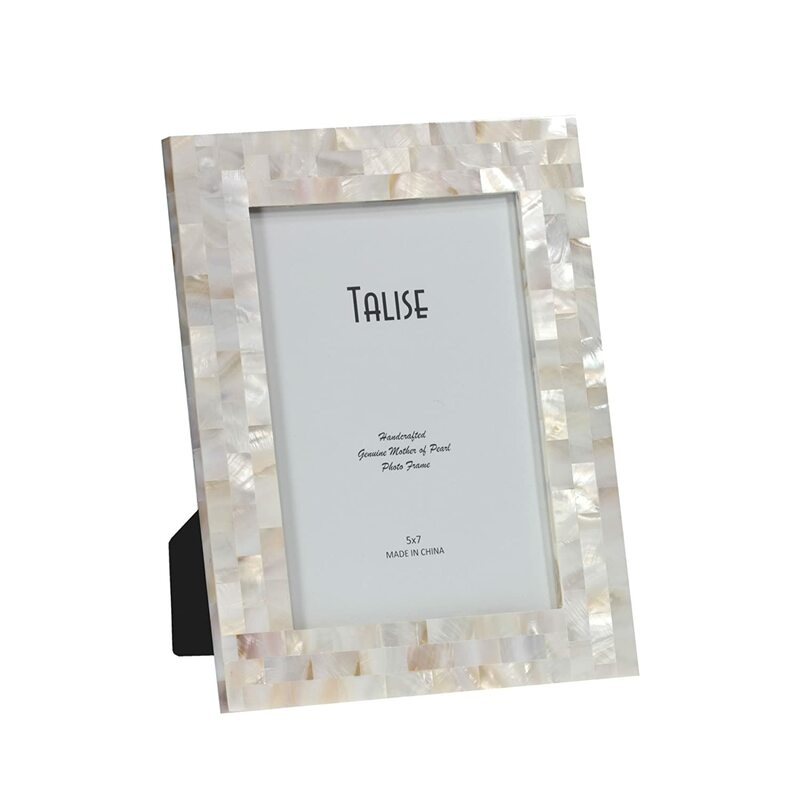 Then, frame the new copy into this mother of pearl picture frame and give it to them! 17. 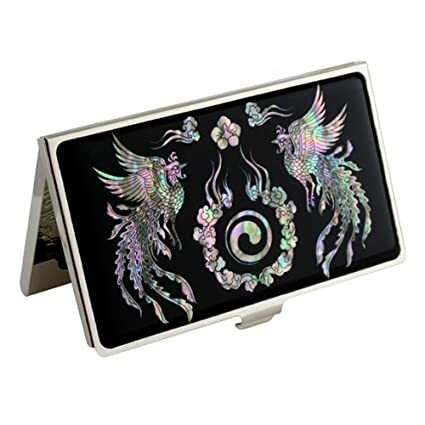 You can get dad this nice mother of pearl credit card holder. 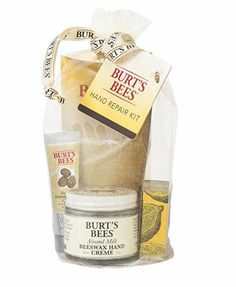 A little something he can use at work. 18. 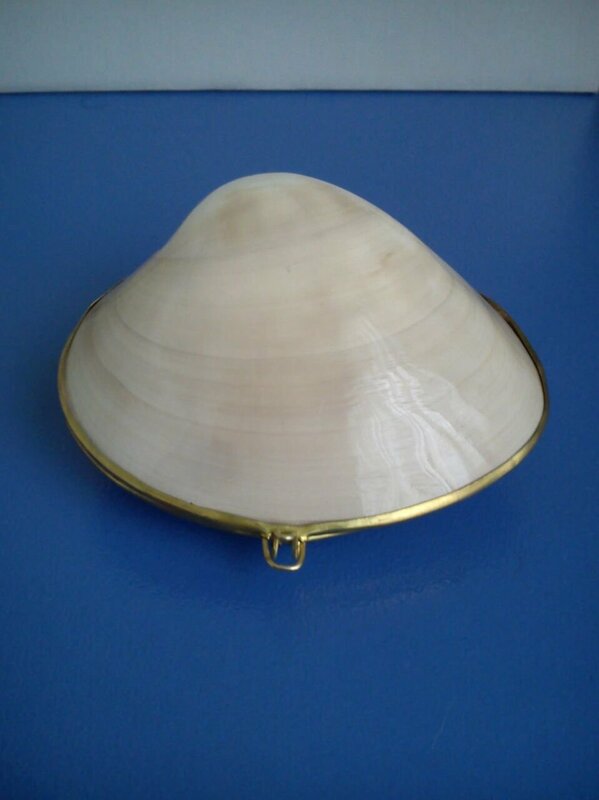 Mom would love this mother of pearl shell purse. Trust me! 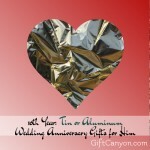 Looking for More Anniversary gifts for Your Parents? 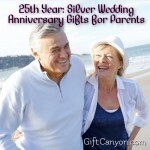 You can check out our recent anniversary gifts list and also our list of silver gifts for parents.